Mobile learning and BYOD (bring your own device) is making it easier for students to learn math. ABCYA - A wonderful site/apps for educational games. BuzzMath Middle School - A fantastic iPad app for middle school students wanting to learn and practice their math skills. When a student gets an answer wrong BuzzMath shows them the correct answer and how to solve it. Also, supports "differentiated instruction" as well as a website with a teacher portal for managing and tracking students. ClassPad - A new free online math tool that creates a digital scratch board to solve any math problem. Cookie - A great site with lots of educational games for elementary schools. 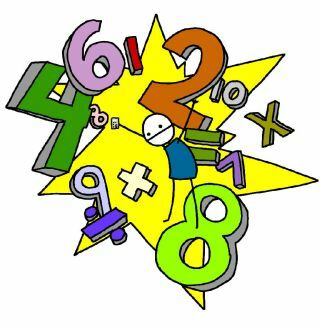 DragonBox - An excellent multi-platform site for teaching students algebra in a fun and unique way by starting out using pictures instead of numbers. Education Galaxy - An innovative online platform for grades K-6 that helps students achieve success in any number of core subjects including math. Fiete Math Climber - A nice iOS game to help students with basic math skills, such as addition, subtraction, and more. iKnowIt - A rather new site that is quickly become of of my favorites for interactive math problems grades K-5. IXL - One of the most popular sites for math for grades K-8 as well as for learning algebra and geometry. Not only does this site have an educational portal for student tracking and reporting but tons of lessons to choose from as well. Kidz Page - A nice site with lots of fun educational math games. King of Math - An interesting iOS game for middle school math where students answer questions and puzzles to level up their character. Learning Games for Kids - A great sites with lots of games for education. Fuel the Brain - A nice site with lot of different educational math games to choose from. Marble Math - A great iOS app that has students playing the old fashioned marble tilt puzzle game solving basic math problems (addition, subtraction, etc.) plus decimals and fractions. Users can either tilt their iOS device to move the marble or use their finger to guide their marble to the desired spot. Not only is this game highly addictive it gets rather challenging in the upper levels. Math Game Time - A terrific site for grades K-7 with lots of educational games, worksheets, and videos. MathEdge - An excellent iOS app for young learners working on their addition and subtraction skills through the use of flashcards. Milestone Math - An interesting iOS app that uses self paced learning to help students with their math skills. Mystery Math Town - This is one of my favorite unique iOS apps for building math skills. Ideally this adventure is for kids 6-12 and focuses on addition, subtraction, multiplication, and division. Students enter a town and try unlock levels and characters by not only solving equations but finding the variables to solve the given equation as well. This game is highly addictive and has very high replay value. Operation Math - This is a very fun iPad app that focuses on the basic skills of math while trying to stop an evil villain from stealing numbers by solving equations and locking his escape route. OM is a great game for kids 5-12 with high replay value that takes them to lots of geographical locations. Pipo Games - A nice site/program with lots of educational games for any curriculum, math included. A paid account unlocks all features and games. Play Kid Games - A very nice site with lots of fun and engaging math games. Sakura Quick Math - An ideal iOS app for grades 1- 5 that focuses on all basic math skills. Not only does Sakura track students progress it allows for users to write the answer directly on the iOS screen. Zap Zap Math - An excellent site for math grades K-6, with an educational portal for student tracking and generating detailed reports.